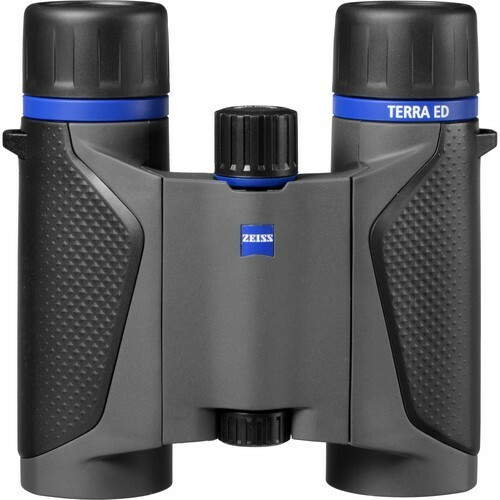 The Carl Zeiss Terra ED Pocket 10x25 Binocularswill fulfill the high expectations of the outdoor enthusiast, with its fibreglass-reinforced, waterproof casing, the The TERRA ED line is designed to be compact, light and sturdy. You will find that the TERRA ED Pocket range is the ideal companion that weighs little, fits easily into every pocket and is almost indestructible. Whether on long journeys, in the open countryside, at racetrack or concerts, on city tours, in the mountains or on the open seas these are a pair of compact binoculars that will deliver. You don’t need the sun to be shining to get out there to do your thing. That’s why TERRA ED binoculars combine optical precision and hydrophoic multi-coating to deliver stunning optical performance in all conditions. This state-of-the-art coating ensures beautiful, crystal clear images in low light situations or when you’re caught in the cross-hairs of Mother Nature’s latest hissy fit. The large, smooth-running and easy-access focusing wheel of the TERRA ED makes focusing especially easy and fast. 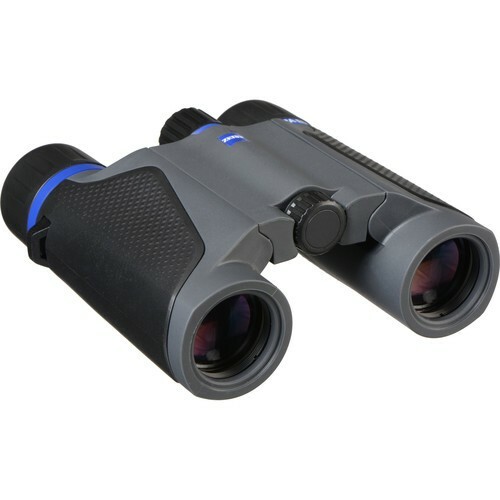 Pick up a pair of TERRA ED binoculars and their advantages are instantly apparent. The index finger automatically positions itself on the focus wheel. You no longer have to think about how best to hold the binoculars if an exciting scene appears right in front of you. Quick as a flash, you are focused on the object of your interest. You can be sure never to miss out on those unforgettable moments. On the contrary, you have a razor-sharp, ringside view of them. The optical flexibility of ZEISS TERRA ED allows you to observe small objects, like insects and plants, close up, in amazing detail. With its minimum object distance of just 1.9 m. TERRA ED make it possible to take a closer look. 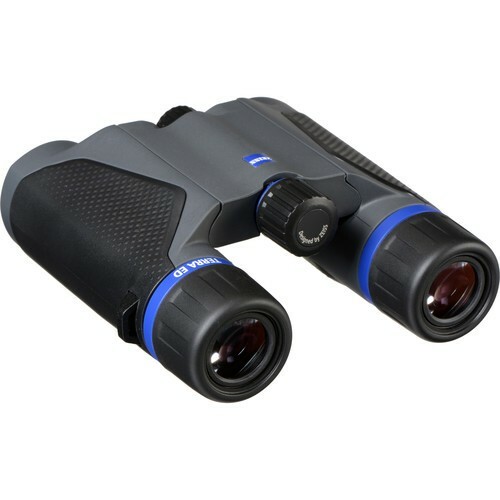 For those who prefer to take a broader view of the situation, these binoculars also deliver razor-sharp images of far away objects and breathtaking landscapes.